Successful start to new year wishes you Tobrok kennel. efforts and believe me. THANK YOU! The Tobrok team wish you peaceful and undisturbed holidays. Edit: for bigger picture, click on it. 19.12.2011 - XVI. Europenian dogshow for Czechoslovakian wolfdogs is 24.3.2012 in Reggio Emilia, Italy Our termine calendar is now updated too. The year 2011 can be found in archive. Update of photos from summer, autumn and early winter. We spend it with moving into new home and got new pack member Chasa. 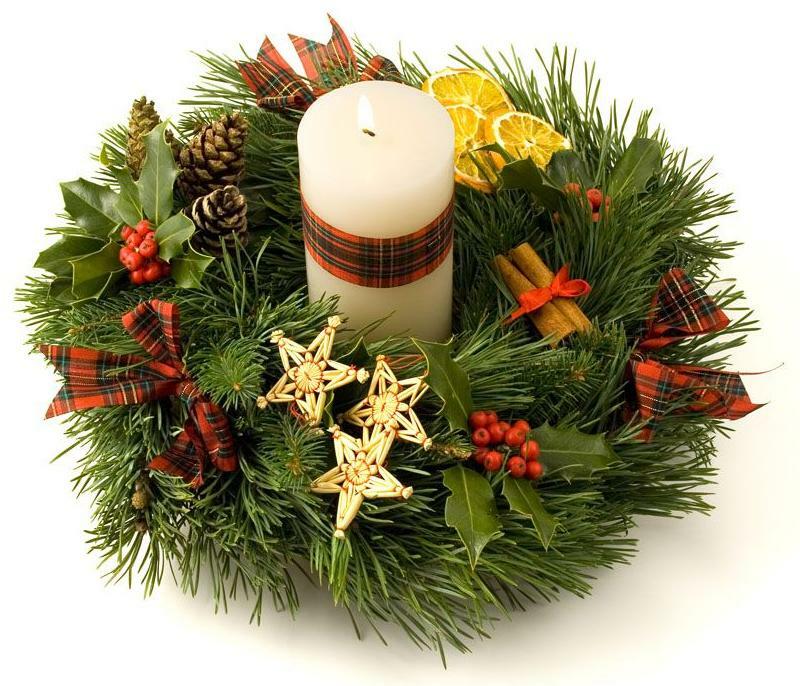 15.12.2011 - The whole Tobrok team wish you peaceful and undisturbed holidays. 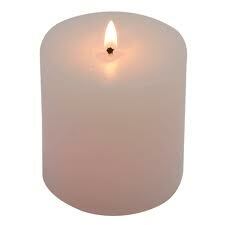 13.12.2011 - On sunday morning we lost our female Dina, the female, who I thank for many great years of kynology life. She was more than 17 years old. Was my first real dog friend, lived by my grandmother. She died in peace in sleep. Last years fight with cancer, was blind and had harder days, but was always smiling at us. We miss you so much! 04.12.2011 - There are some changes on the page again. But most of them only in slovak part. In the next days, i will try to translate more of the sites in english. 01.12.2011 - The change of design is progressing - the buttons in submenu are now changed too. 28.11.2011 - Today is our Nerchelles - Gunner Mlaý Bysterec beautiful 5 years old! We wish him and his siblings Grace, Glenovi and Gigxovi only the best! Nero got a birthday "cake" and also a new kennel, it was fully 2 hours as new, then he started to destroy the carpet... New part of the site - Where do we live and where live our wolfdogs. Upload of photos of our kennel, yard and garden. In the part "A puppy from us" you find our export idea. 24.11.2011 - Photos from dogshow in Nitra - Nitracanis from both days 19.-20.11.2011 in our gallery. 18.11.2011 - Today are in Slovakia our friends from Czech republic Vojta and Lenka, who are here for covering theire female Ambra Tajemný přelud. Best regards for them, we hope for first pupps in kennel. There is a new icon in left menu - contact page. 17.11.2011 - Today was the first time mating with our Gunner Malý Bysterec. We had a visit from a female from Poland Asta Agarův les. The mating was fast, after a short play and running in garden Nero covered Asta without any problems or complications. We had mist here and bad weather, so there will be only few photos. Informations about the litter on the pages of Leśny kamrat kennel and also here. After 21 days we will know, if there are any pupps. 09.11.2011 - Photos from training weekend in Chtelnica in our gallery. Results from bonitation in Chtelnica here. 20.10.2011 - For all our reeders - there will be some aktualizations on the pages until the end of the week. Not only in the slovak but also in english. I hope, that between 27.10-31.10. will Chasa finaly absolve the Xrays. 05.10.2011 - Until the end of this week, will our Grace absolve sono, to confirm the pregnancy. We hope for the best! Also is planed RTG for hip dysplazy by our Chasa. 28.09.2011 - Today I have got great news - Alucard Grey Střípek snů, the father of our "A" pupps, got the CZECH GRAND CHAMPION title!!! Big congrats to the owners. Grace is acting like mother and we wait until 06.10.2011, the big day - we will confirm the gravidity with sono. 27.09.2011 - Dear readers, future owners, fans of our pages! I have very bad news - our hosting is over now, the server T35 is closed and doesn´t offer any free hosting from now. So we have moved on new server. Hope, you stay with us! 16.09.2011 - I created gallery from the mating of Grace and Alucard. For now only one photo, but more are comming soon. I thank for the photos to Vojto, the owner of Alucard, he is taking great photos and all of them you can find on the pages of kennel ChS Tawy. 14.09.2011 - Update in the kennel part of sites. 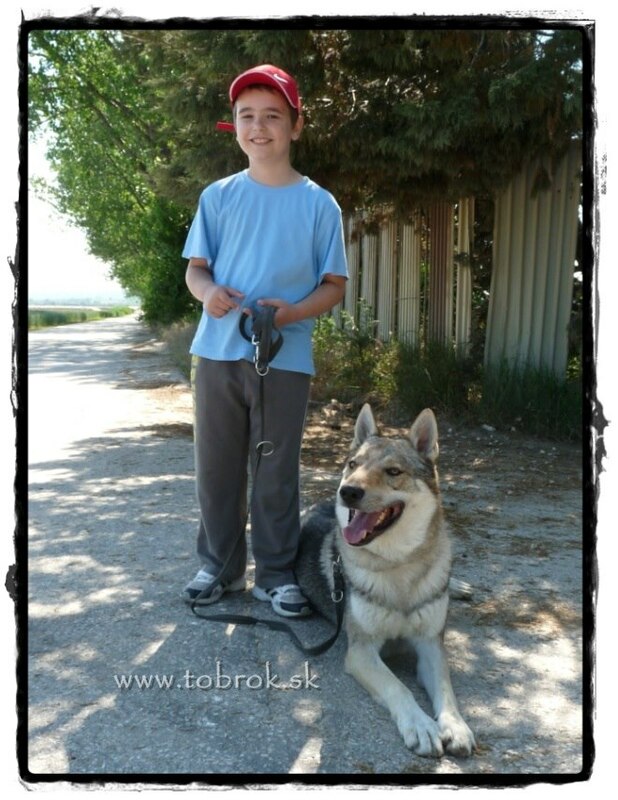 Actions with wolfdogs in Slovakia - our termine calendar are updated and a part of left menu. 13.09.2011 - We hope, that today IS the Day! Grace and Alucard - "A" Tobrok! WE HAVE COVERED GRACE! Today was the mating day of Grace Malý Bysterec with czech male - champion of beauty CZ - Ch. Alucard grey Střípek snů. You can see how the pupps grow with the Pregnancy kalendar aplication - only click on the banner. We will confirm the pregnancy with sono after 20 days of pregnancy. We take reservations for pupps, the proper reservations will be taken after the birth. 12.09.2011 - First Chasas heat is over now. If the health results are normal and other breeding terms completed, we should made a mating in september 2012. But - step by step - everything needs its time and she must be healthy and ready for breeding at first. 07.09.2011 - The gallery of Chasa is now online. 02.09.2011 - In a whirlwind of work and lack of time I have not had the opportunity to present you our Chasa. This weekend will be hopefully nice weather and I do some photos for new member of our pack, so she has her own gallery. Chasa like it by us, get the rules very quickly. Although currently she always goes to Nero, so we let him run with her. Unfortunately, they must be separated, until her heat stops. We take reservations for the puppies, because it seems that Grace is in heat again ... We'll see whether really, or she is playing with us again. 31.08.2011 - Im realy busy right now :( But in short - Chasa is still in heat and Nero is playing "stupid" animal, who want´s only one thing :) We can not let them run together, so we have a loud chorus of crying wolves here. I hope, everything will turn back into normality soon. 26.08.2011 - Yesturday was the big day, but Grace wasn´t ready, she didn´t let Lukas to jump on her, so we must wait and we move the day of the mating, when is the right time for her. She will be at heat in October again - from the past, we know, that she is in heat in the end of august and then also in october... We will see. 24.08.2011 - the date of mating is here, it takes place tomorrow! 22.08.2011 - We have photos from Summer camp in Hrabušice, also photos from puppy bonitation and bonitation in Hrabušice and from the dogshow in Bratislava. Check our gallery. 21.08.2011 - I dont know how exactly, but our pack is since 16.08.2011 bigger. We have a 4 years old female Chasa spod Ďumbiera and two little kittens. We are still working on our house every day, but until we can live there it will take two more weeks - I hope so. 14.08.2011 - Our moving is still going on, we make our new home ready for living. Nero comes with us to see his new terithory and he likes it very much :o) We prepare the place for the new kennel, realy beautiful and spacy. My free days are over now and I go again in the work. So I will have time to respond on emails properly and make some updates on the pages. Our first litter actual: We have the mating documents at home now for Grace and Alucard. Grace is starting with heat, but stops in one or two days. We hope, she will wait until we have our kennel for her ready. We are slowly taking reservations for puppies. Momentaly is one reservated and goes far far away from Slovakia. If you are thinking about puppy from our litter Grace and Alucard or want a friend - wolfdog, please contact me per email - I´m OK with german, english, polish. About the reservation of a puppy from us: If you are interested in a puppy from us, you can contact me right now. The proper reservation will be possible after the pupps are born. As the proper reservation, I take 1/5 price of the pupp, not returnable. I take reservations in a list, but not every interest owner, will be akcepted, I choose the right owners for my pupps. 01.08.2011 - We are moving! Our new adress si Sedliacka street 17, Mojmírovce. It is 14km from Nitra. The next 2 weeks will be busy, so I will respond on mails bit later, web site must wait also. More info about our new home here. 05.07.2011 - I have change the structure of the gallery. The amount of photos from different areas of the gallery made it slowly crowded. Therefore, it is divided into galleries of the kennel and a part dedicated to actions, meetings and exhibitions CsW. 24.06.2011 - Another great news! We have the offitial resulst of Gunner Malý Bysterec ED 0/0! The button breed will be the most important. I will translate the whole subpage from slovak to english, so you can read about our beloved breed. In the subpage puppy, you will find some basic infos about getting and keeping a puppy. Training only in basic. But the part about the way, HOW you teach your dog to respect you and train for you, the method to make him happy about training and listening to you. Webpages - a list of some Slovak and Czech kennels, club pages,... Only the basic form. I have a lot of to do, i hope, i can manage it until we move in new house and before the puppies come. Grace is OK, we make a degenerative myelopathy test for her in august. Also there was a false alarm and we thought, she is in the heat, but it is OK now :) So the termine for the mating is still september. 21.06.2011 - Traslation of the navigation bars for results - bonitations, dogshows and endurance runs in Slovakia. Translation of picture definition of CsW standartd. 20.06.2011 - For better navigation - Site map. 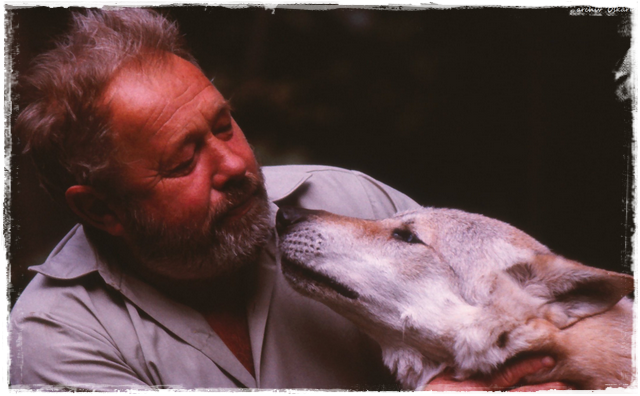 19.06.2011 - Translation of the article - How does the czechoslovakian wolfdog act? 14.06.2011 - Translation of standard is now online. 02.06.2011 - We have found a great stud dog for Grace. We plan "A" litter for september - october 2011 from the mating of GRACE Malý Bysterec and Ch. ALUCARD GREY Střípek snů. The combination of czech and slovak blood line, I´m expecting healthy puppies, great character, training skills and dogshows exterior. More informations about the litter. 30.05.2011 - I´m very sorry about not having time to update the page in so many languages. I choose to have only english and slovak version of the site. Since 01.06.2011 will be the german version stopped and deleted from the server. After this date I will update only the english version. With this time saving, will translate more texts in the english language. For more languages please use Google translator. We spendet the weekend with my nephew and walked together Nero. For large image click on photo. Our planed puppies are now bit concrete. We found a very good male for our Grace. The dog will be from Czech republic, we are now informing about matching with Grace in pedigree, but we are on 80% decidet :o) Until the end of the week, we will know for sure. We have more good news. If everything goes as it should, we will move in family house at the begin of august 2011. With this commes lot of work - the move, building new kennels,... and I´m sure, not have so many time to update and respond on emails so quickly. Who wants to meet us, talk about our kennel, is interested in a puppy from us or just need advice, or chat, will be 04.05.2011 and with Nero the dog show in Nitra. 24.05.2011 - Test for degenerative myelopathy - Gunner Malý Bysterec with results N / N.
09.05.2011 - Photos from the Bonitation Jevišovice, CZ, and photos of endurance running in Šamorín in our gallery. 01.05.2011 - Other great results of our Nero (Gunner Malý Bysterec). Bonitation A67, 5 Of P1. 23.04.2011 - With Nero we visited a veterinarian and once we were there, so we decided to complete the examination. Preliminary results of X-ray Gunner Malý Bysterec ED 0 / 0 aged 4.5 years! Blood count good, so we are very happy! 20.04.2011 - In our gallery you will find pictures of puppy bonitation and bonitation in Pavlovce. See also the results of bonitation in Varín. Results from bonitation in Pavlovce. 19.04.2011 - In our gallery you will find pictures of the training weekend in Varín. 18.04.2011 - The section "Nutrition" is completed and full updated. Very long time I wondered whether to put on our site plan in the autumn of 2011 - yes, we plan to have a female from my friend and have puppies after Grace Malý Bysterec ... Everything is a question of the future, we'll see how Grace will be in heat and think about dogs, which we want to cover her... For now a few info about the mating here. 15.04.2011 - Phew, I managed to finish everything. 178!! kibbles brands compared, pros and cons, everything about reading the composition of granules. Simple - read for anyone who feeds kibble and wants to find out the good ones and the bad ones. Added the results of puppy bonitation and bonitation in Pavlovce, ranch Brezina 09.04.2011. Im currently working on part of food - cans, which I slightly update and will be completed this major part of the upload in nutrition. 07.04.2011 - We had a huge failure on the server, but everything should be OK now. These are the drawbacks of free hosting. But at least I had more time to work at the promised kibble section, which run until the end of the week. In it you will find everything you need to know how to choose good quality kibble for your CsW. 01.-03.04.2011 - Huge update of photographs from meetings, exhibitions, SVP, or other events of 2011 and 2010 in our gallery! 30.03.2011 - Since the feeding of wolfdogs and large breeds is still a question, not only for new owners, but also for long-time breeders, we bring a large update of topic raw food - lots of hints and tips from practice and extension of cooked food. Many owners have fear to feed raw (not reason for that...). I'm preparing for you, kibble feeders, also a big update. Frequently sold feed for Slovakia compared! Kibble that are good? Or Not good? Some rules for feeding the kibble,... Topic of the granules should be gradually increased and, therefore, please be patient while I invite you to read the feed raw, cooked food and a variety of suitable and unsuitable food supplements for your "wolf". 27.03.2011 - We have puppy bonitation results and photos from the action in our gallery. 25.03.2011 - For exceptional reasons, is tomorrow bonitation in Horný Hričov canceled and will be moved to another date. Puppy bonitation will be held! 23.03.2011 - Update in section feeding Barf way - so with raw raw meat. Tips and advice from practice, lots of new information, all on the link. 20.03.2011 - Today we went to the European dogexhibition here in Nitra, we met lots of friends and especially so many puppies, that we were sorry that we still do not have our puppy ... But! House and with him room for more dogs is in sight, so we should work at our new home and also on home for our wolfdogs in few months... Show results only in slovak. 01.03.2011 - On 19. and 20.3. on the club dogshow in Nitra will be possible to give a sample for testing on degenerative myelopathy - for free. This is a special brush smear of the mucous membranes - the gums. The dog should not half an hour, preferably an hour before swabbing, eat - this includes snacks. The result is only for the owner, everything is on a voluntary basis. The test may be as for breeding dogs, not breeding active dogs, puppies, adult and old dogs. 25.02.2011 - I´ve completed the article about degenerative myelopathy. 24.02.2011 - On 19.-20.02.2011 was in Nitra a meeting - Preparation and training for Bonitation of Czech republic on Ranch DD area. The event was organized for friends and kennel owners CsW Tobrok and Tawy (CZ). This action wasn´t action of the club breeders CsW SR. On the program was also collecting of samples for degenerative myelopathy for free. More about the action in the articles and pictures in the gallery. 16.02.2011 - Attention - change of the date of summer training camp - more in section actions! 11.02.2011 - A few days passed since the last update, and over this period are two important things happened ... Or happen? To co-ownership to our kennel has been added Lord Radov dvor, which we help to bonitate him and make him a good stud. It belongs to our friend Tomáš, who kindly consented to this by presenting his dog on our website. After he is a studdog will be provided for the mating. The second novelty is that we give to investigate our Gunner Malý Bysterec for degenerative myelopathy and in the summer should also absolve X-rays on ED. As for the site - I saw copying text and page structure of this pages, which I obviously do not like. Copyright must be respected at least by inserting the source text / image. I note therefore copyright, which are lower on the page. I inserted copy protection on texts, although it seems, unfortunately, too late. 16.01.2011 - Since I dont have nothing to do in the work (if my boss read this: D), I decided to go see the exhibition in Trenčín, on Saturday, 22.01.2011, where I meet a few people who means a lot for me in the world of CsW. Whether I will accompany Nerchelles is questionable, but certainly I take my camera, also prepare report about the show and the results. 13.01.2011 - Added winter pictures in the gallery. Also included new and additional info in many areas and slowly but surely I fill this page with new photos at various topics. News in Nutrition section and Dogshows. Working on the reorganization of the puppy section. 07.01.2011 - Listing in the old documents in PC was profitable andd I chose to review preliminary results of breeding in Slovakia from 1989 to 1998. Other results are still lacking. I have also found evidence for completion of the breeding lines CSW in Slovakia and Czech Republic. Posted news archive for 2009! 06.01.2011 - Today will be completed layout of articles in slovak, mainly results of bonitations, SVP, exhibitions, ... It's just trivia. What is "worse", I found a huge bounty of documents from few years ago, where are the informations for this site! So I am waiting to sort through everything and add info. For you, readers, this means a nice package of news and info about the breed. 05.01.2011 - English and german versions are working and full updated! I created a news archive for year 2010 ,where you can find it all. For the New Year I hope only the best. I believe that we meet our stated objectives. Starting from the house, which we want so much, to the puppy, which I hope I can include to our pack. I´m currently working on an adaptation of English and German versions of the site. Should be in 100% state tomorrow.